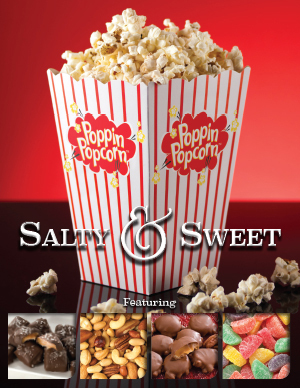 #1 Seller: 8 page combination brochure featuring 34 delicious gourmet items from our gourmet popcorn to an assortment of chocolates, nuts and snack goods. The Goodies Factory will warehouse and ship directly from our factory to you or your customers. Contains heat sensitive product.